The next generation of Wireless AC technology, Multi-User MIMO, lets the Archer C2600 serve several mobile devices at the same time for speeds up to 3X faster performance for all devices on the network. Unleash the full power of your high-performance PCs, smart TVs, and consoles by using the router to seamlessly stream 4K HD video and game online across multiple devices at once with MU-MIMO, powered by Qualcomm® MU | EFX. 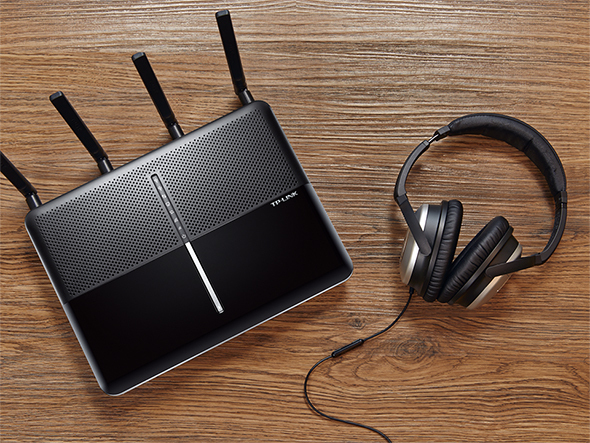 The Archer C2600 uses 4-Stream technology to boost its Wi-Fi capability, allowing its 2.4GHz and 5GHz bands to reach industry-leading max speeds of 800Mbps and 1733Mbps respectively. 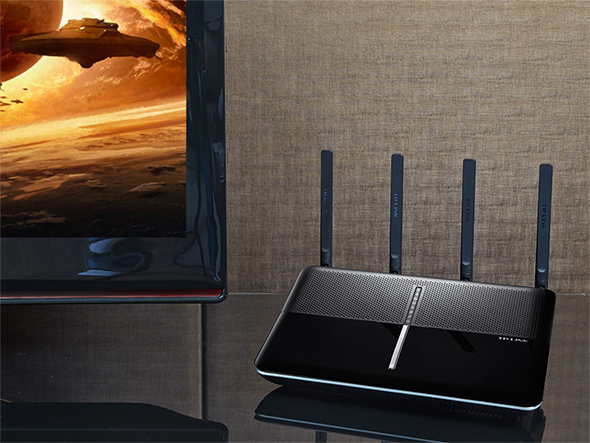 With 2.53Gbps combined Wi-Fi speed, the router gives your home unmatched wireless performance. A 1.4GHz dual-core processor can handle the demand of many users accessing your network at the same time, making it possible for everyone in your home to surf, stream, and game at once without slowing down your network. Four high-performance external antennas and high-powered amplifiers help the Archer C2600 create a strong, far-reaching network for your home. 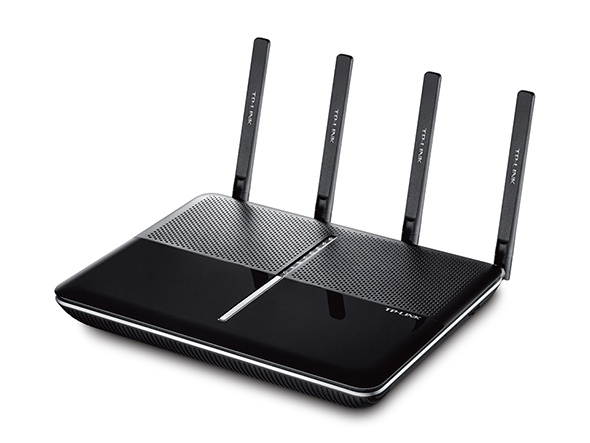 Beamforming technology further improves the router’s coverage by helping it locate wireless devices to form stronger, more reliable connections, even with mobile devices moving from room to room. An elegant, minimal design allows the Archer C2600 to blend well with any room decor. Its LEDs can be switched off to prevent distraction at night when placed in bedrooms or common spaces. 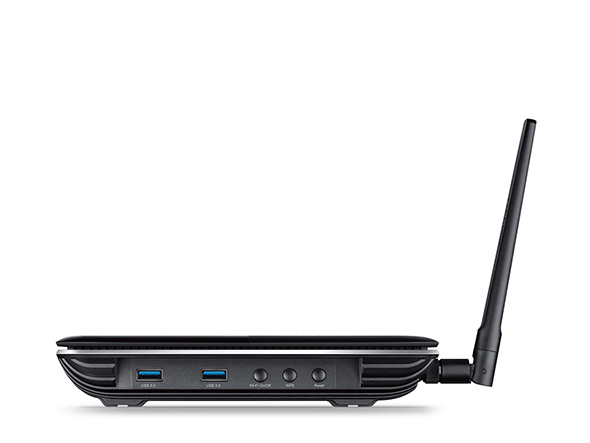 The Archer C2600’s dual USB 3.0 ports run 10x faster than USB 2.0 for data transfer at lightning speed. 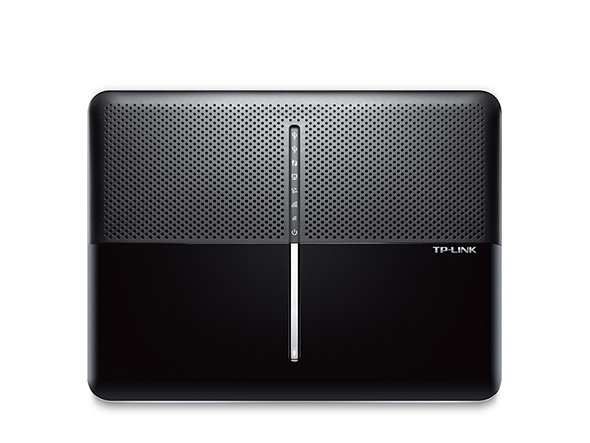 Connect external drives to the ports and easily share files, photos, music, and video across your network. To help your wired devices achieve peak performance, the router’s four Gigabit Ethernet ports operate 10x faster than standard Ethernet. Set up the Archer C2600 in minutes thanks to its intuitive web interface and the powerful Tether app. Tether also lets you manage its network settings from any Android or iOS device, including parental controls and Access Control. The Archer C2600's MU-MIMO performance is the best example I've seen yet of how MU-MIMO is supposed to work. All scenarios and all connections showed improvement with MU-MIMO enabled, even in the toughest multi-room test. 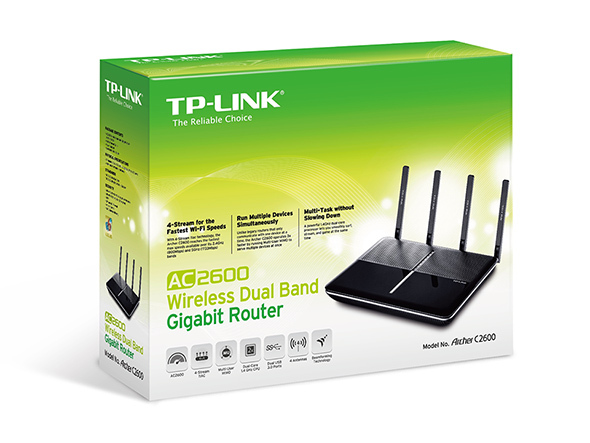 Neither the Amped Wireless RTA2600 nor Linksys EA8500 could consistently produce improved throughput. 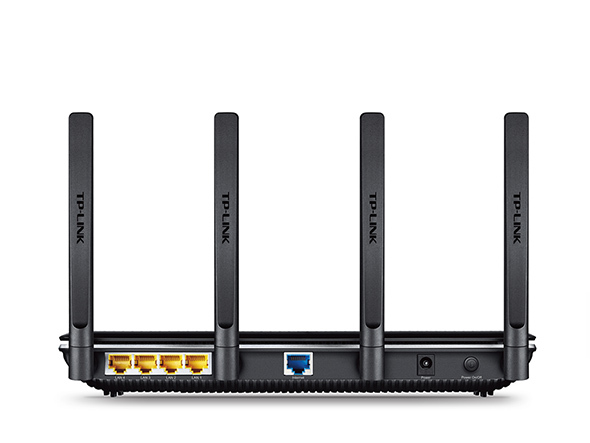 Consumers looking for the latest Wireless AC router that can handle multiple devices without a drop in wireless quality may want to check out TP-Link’s new Archer C2600. This new networking device boasts 4-stream and multi-user MIMO technologies that optimizes speed and connection performance. 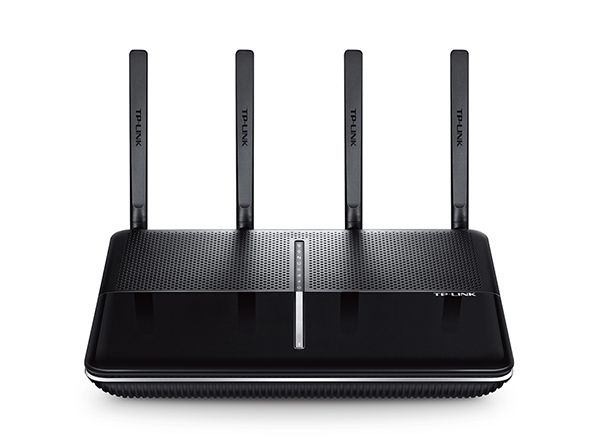 This router also offers one of the fastest speeds on the market, providing up to 1733Mbps on the 5GHz band. 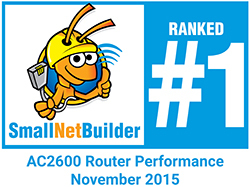 Archer C2600 was recommended by Redes Zone.